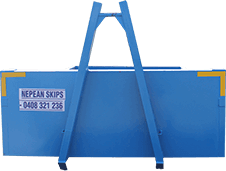 Nepean Skips can supply walk-in bins in 7 sizes. 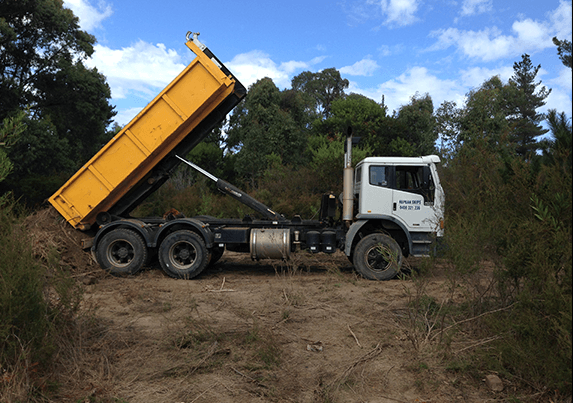 3 cubic metre walk-in skips hold approximately 3 small trailer loads. These are suitable for general domestic hard waste items such as wood;metal; plastic; paper and cardboard; old clothes; small furniture items; small white goods; books and magazines; old toys and sporting goods; electrical goods and shed items; general household bric-a-brac. They are also ideal for garden clean ups; green waste etc. 6 cubic metre walk-in hook lift bins hold approximately 6 trailer loads. These are suitable for household clean ups with larger furniture items; white goods etc. They are also useful for renovations and builders waste. 12 cubic metre walk-in hook lift bins hold approximately 12 trailer loads. 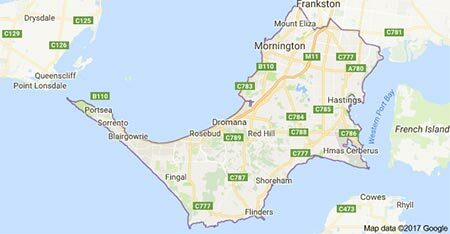 These are suitable for large household and commercial clean ups; larger furniture items and general waste; moving house etc.